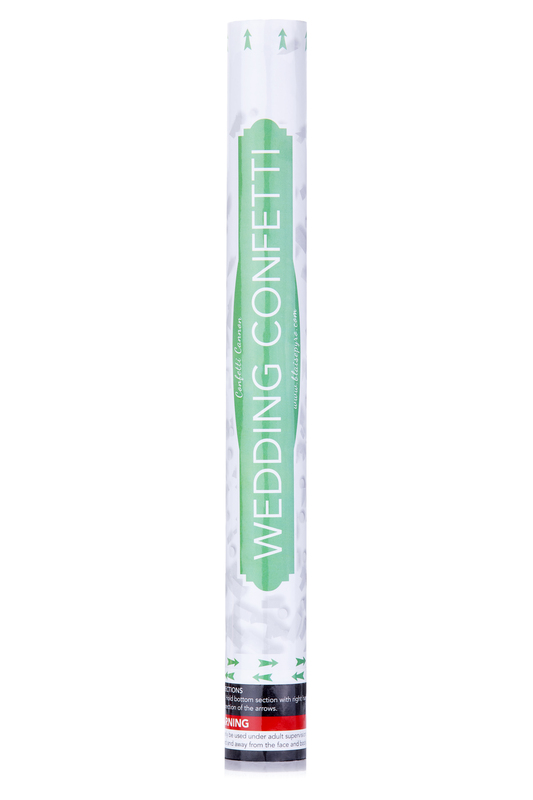 Our White Eco Wedding Confetti Cannons are elegant and festive for your upcoming wedding or event. 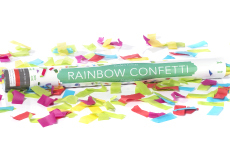 The Confetti Party cannons measure approximately 18” long and 2” in diameter. 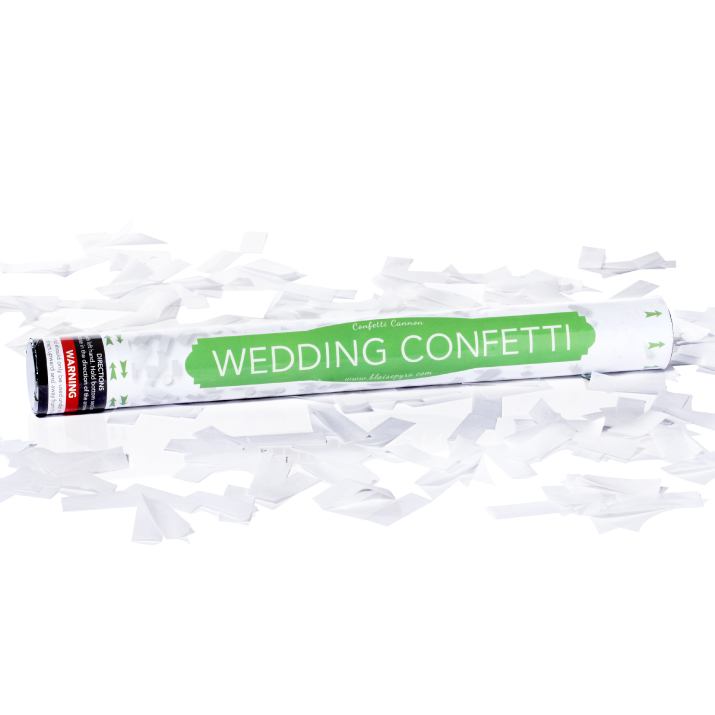 These ready to use tubes are filled with all white water soluble, tissue paper confetti. 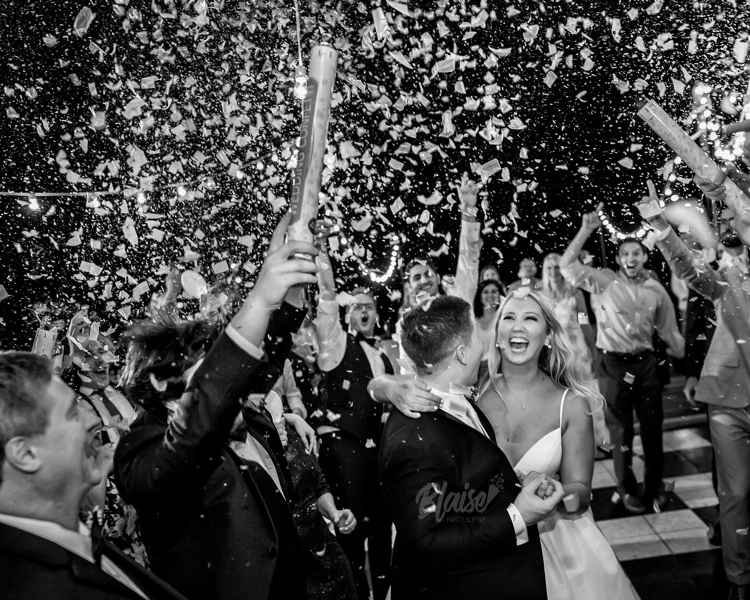 Our Confetti Cannons are not a pyrotechnic, they do not cause any smoke or hot items that you must deal with after using them. 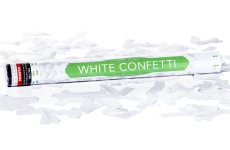 Our Confetti Cannons use compressed air that shoots the white confetti up 15 feet high, making a blizzard of white. 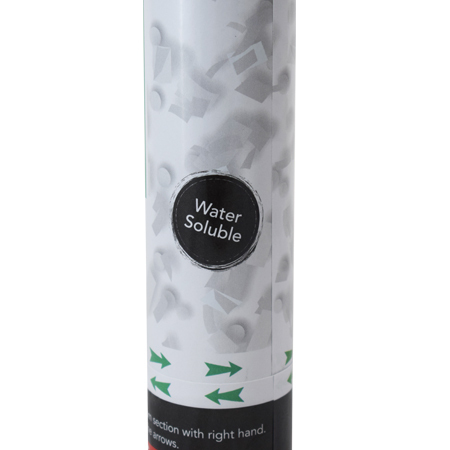 When ready to use hold with both hands, twist the bottom of the tub lightly with one hand and “BAM”. You can use these confetti cannon indoor or outdoor but remember to face the top of the cannon up towards they sky. Also, we offer quantity pricing so the more you get the less it cost!